First things first….I forgot to write a little intro about myself last time. So, while my god given name is not Mike McTigue, I am a third generation Irish American from Boston. I’m also a songwriter which is how I came to know of Ninebullets when they were kind of enough to review our first couple of albums. I enjoy all the music covered here, Redbreast Irish Whiskey, Gibson Acoustic Guitars, gambling and of course women of Irish descent. Let’s face it…they also enjoy the drinking and loud music….it’s genetically programmed into their DNA. 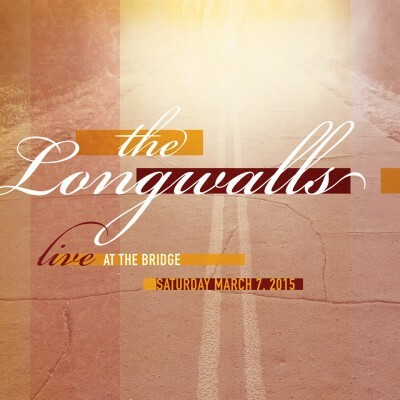 On to The Longwalls and their great album “Live At The Bridge”. When we were picking up reviews for our first album we ended up on the same list with The Longwalls EP Kowloon. I clicked on it to give it a passing listen and was blown out of the water by what I said at the time was one of the most important pieces of writing to come out of Boston in years. It’s that…..frign…..good. Sonically they are one of the most interesting bands I’ve ever put on my radio. I banged back a few emails with members of the band about setting up a show and nothing ever ended up working out for a bunch of reasons. All the while I’ve spun their records and wondered how the hell what I think is the best band in Boston has 375 likes on Facebook. It’s absolutely criminal that these guys aren’t a household name in the Indie scene. In November they released a live album titled “Live At The Bridge” which contains a good amount of material from their latest, “The Gold Standard” and “Careers in Science” as well as material from their other albums. Let me just say this first off….I am not a big fan of live albums. Most bands disappoint me live if I am honest…not The Longwalls. The album rips right out of the gate with “Careers in Science” and a burning guitar riff firing over acoustic guitar. Next comes the anthemic “Where Things Go to Fade” with distorted guitars taking JUST the right breaks at just the right times. This is an example of well thought out arrangements played by a band that is tight as hell. The album continues from there with masterfully crafted indie rock tunes with just enough catchiness to have you hooked in tight but never veering into predictability. The highlight for me is “Dark Academy” about the impact of a local arcade on a youth looking for excitement and acceptance in the pre-internet age. If you are old enough to remember those times you’ll dig the hell out of this tune. I know I did. So I invite you to join me in listening to this awesome album. It’s name your price on bandcamp here but I would advise throwing them a few bucks. These guys don’t get nearly the recognition they deserve and I like to believe in a different time and place you’d be reading about them in Rolling Stone……and in that different time and place Rolling Stone is still cool and relevant. Also give them some love on their Facebook Page. Check out The Longwalls and your ears will thank you.